HARTFORD - Attendees of this year’s Travelers Championship can expect to see at least two top-five golfers in the world when the event tees off in June. 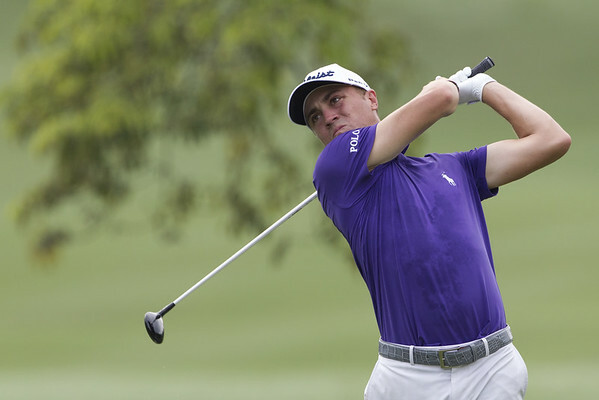 The Travelers Championship announced on Monday that Justin Thomas has committed to participate in this year’s tournament at TPC River Highlands in Cromwell. Thomas, the No. 4-ranked player according to the Official World Golf Ranking, joins Brooks Koepka (No. 2) as a top-ranked golfer that will be in Connecticut for the start of the event on June 17. Thomas, the 2017 PGA Tour Player of the Year after winning the PGA Championship that year, will be playing in his fifth straight Travelers this year. He debuted in the event as a 20-year-old amateur in 2013 and tied for third in 2016. Thomas is currently looking to build off a strong 2017-18 season that saw him win three Tour events after winning five the previous season. His recent success landed him on the U.S. Ryder Cup team last year, and he has since posted two top 10 finishes already in the young 2018-2019 season. Posted in Newington Town Crier, General Sports on Monday, 28 January 2019 21:14. Updated: Monday, 28 January 2019 21:16.